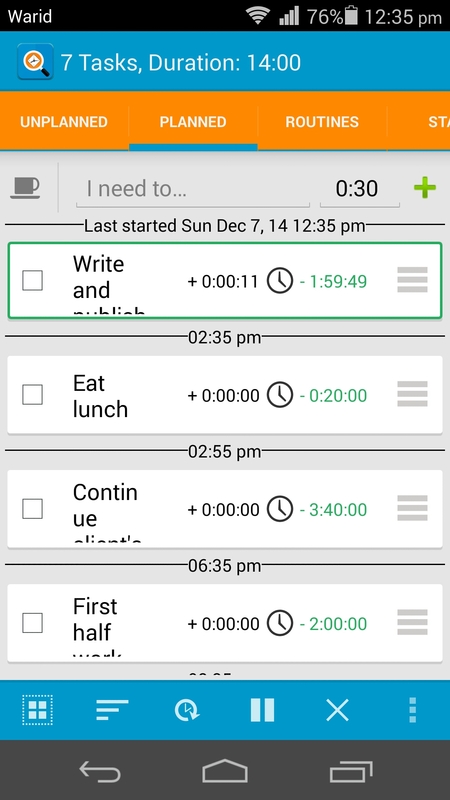 There are many time management apps available which help us manage our tasks and our time. Time management is a very valuable skill which every one must learn and practice in their lives. Once app that i have found goes by the name of Do Now which is available from Google Play Store for free. This app is a bit different from other apps, i have used before. 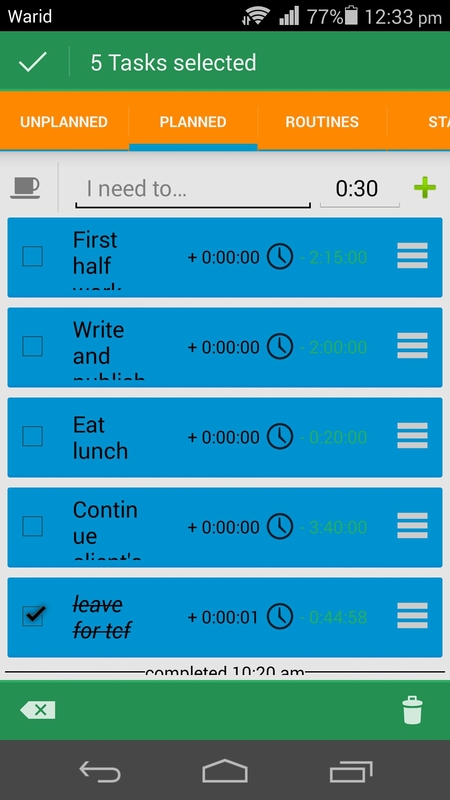 The theme of this time management app is good looking with colors light blue, and orange bars, which light gray buttons. 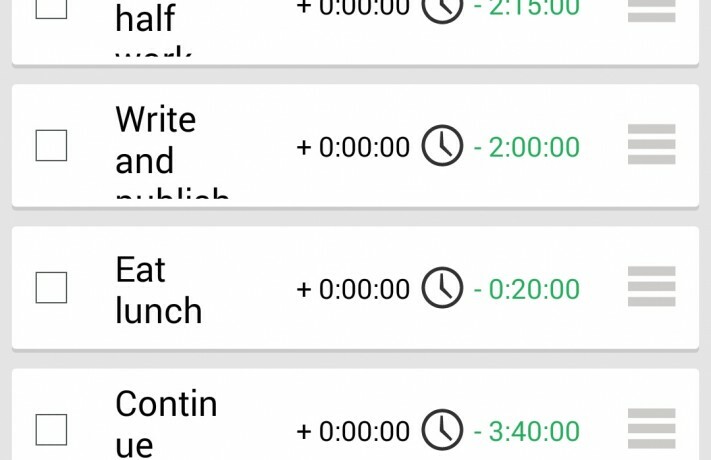 With apps of the same category as of this app, we usually expect that we can schedule an app and set its date and time, and set an alarm. With Do Now this particular feature is different. When you add a task you just specify the duration of the task, and not when it is to be done. What this means is that the app is only for managing the tasks on which you are working now, though you can a list of tasks, but you can not schedule them. This is not in the use case of the app, hence the name of the app is Do Now. When i first started using this app this is what i was confused about. I was looking for the date and time fields, but only found the fields for setting the duration of the task as mentioned above. The association with scheduling of tasks that we have with apps like Do Now have caused the time to learn and understand how to use the app to be a bit more than an average app. Other wise the app is easy to use. 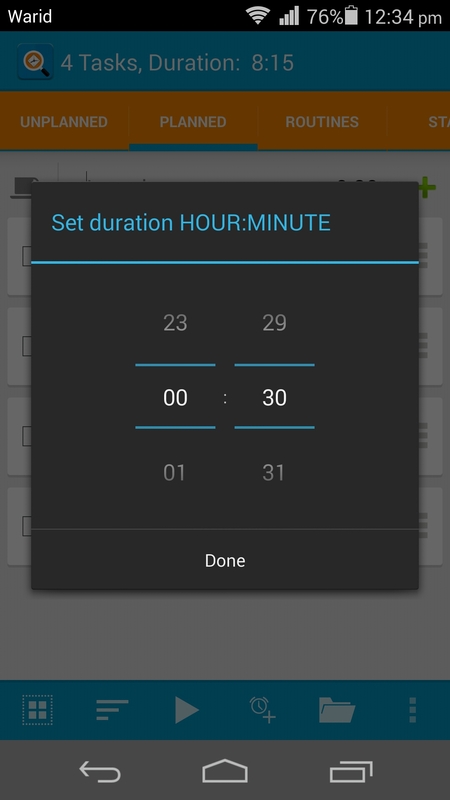 As mentioned above the app allows the users to add the duration of the task(s) being worked on. When you start working on a task press the play button and then the timer will start to count down. 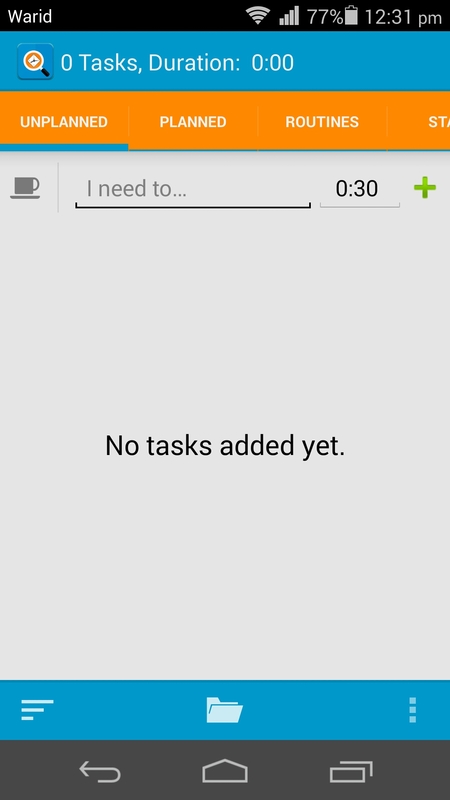 The good thing about this app is that the tasks are executed one by one, which is logical as well. Once the task is completed the alarm is rung and you are given options of if you want to ignore the alert, snooze the alert or complete the task. There three lists being used in the app. The first is the unplanned list which contains the list of tasks which you have not planned and are working on at the moment. 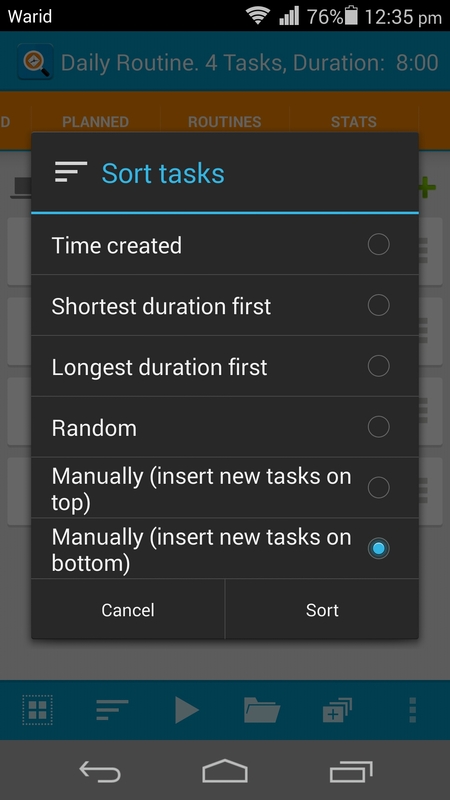 You can add new tasks at run time in this list. The second list is the planned list, which is similar to the unplanned list in some ways, but differs in others. 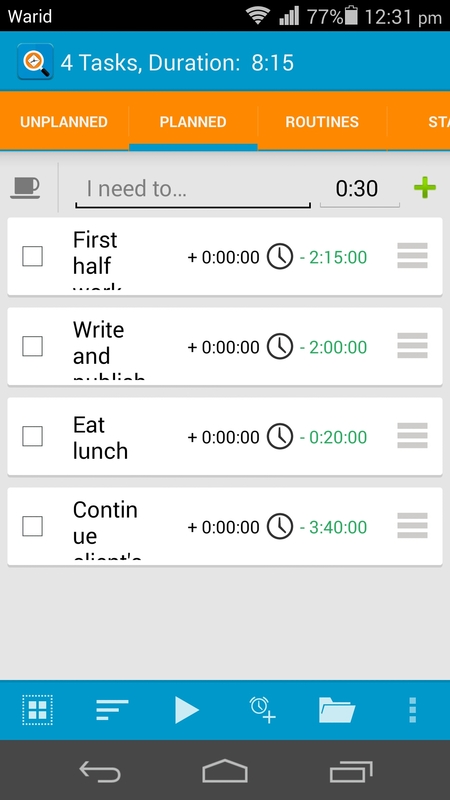 The user interfaces and controls of the two lists are the same and you can also add a new task at run time in the planned list just like in the unplanned list. 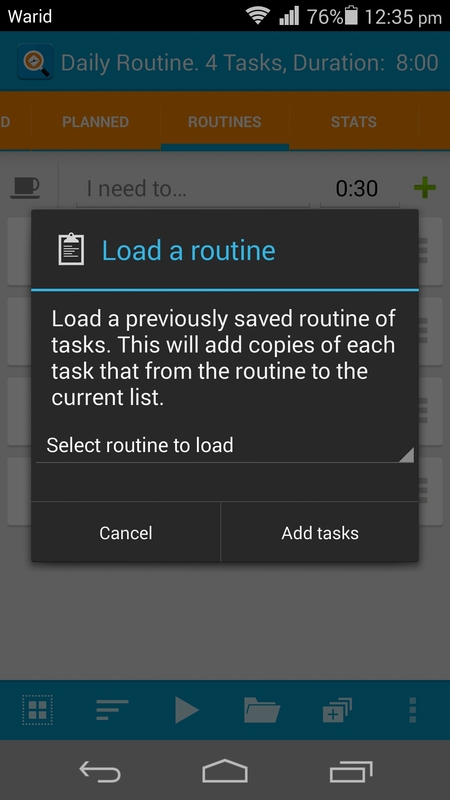 The third list is the routines list which you can create. Routines are repeatable tasks, or you say planned tasks. Do you see the link? When you create a new routine which can contain a list of tasks (which you create in the routine) and when you will start the routine (play the routine, means starting the tasks in the routine) the tasks will be added to the planned list. This is where the unplanned list and the planned list are different from each other. 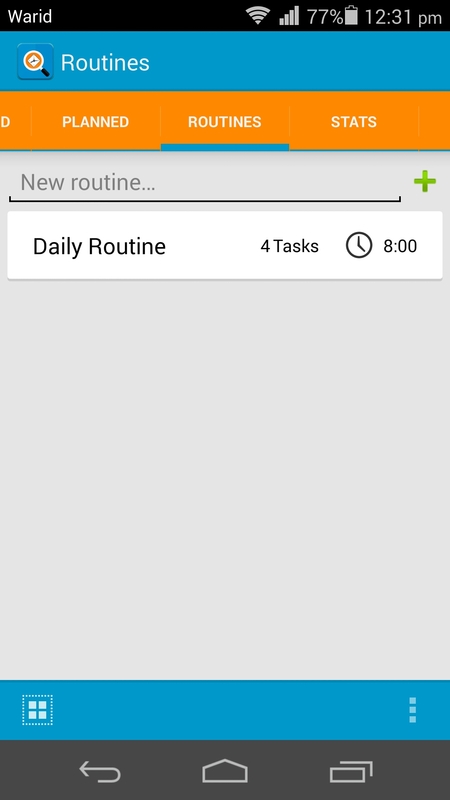 The planned list is linked with the routines list. As mentioned above, when a routine is selected from the routine list to run its tasks are copied to the planned list and not to the unplanned list. This i feel is quite intuitive, and well thought out. The user does not have to manually transfer each task. However, i also found one thing which does not make sense to me. 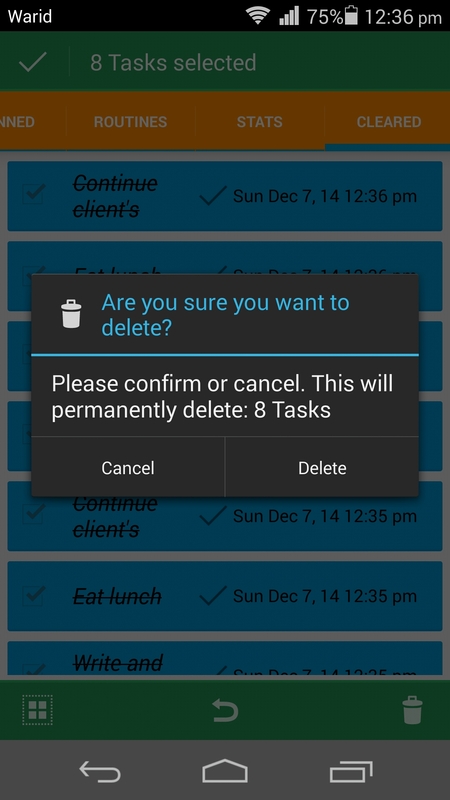 You can manually load the tasks in a routine and into the unplanned list. Now does that not sound contradicting from above? This is also quite possible for the planned list. I have no idea why have this when the developer has already made a link between the planned list and the routine list. Why is there a need for this? You can also save tasks in your planned list or unplanned list into either an existing routine or create a new routine. This feature i found quiet useful. 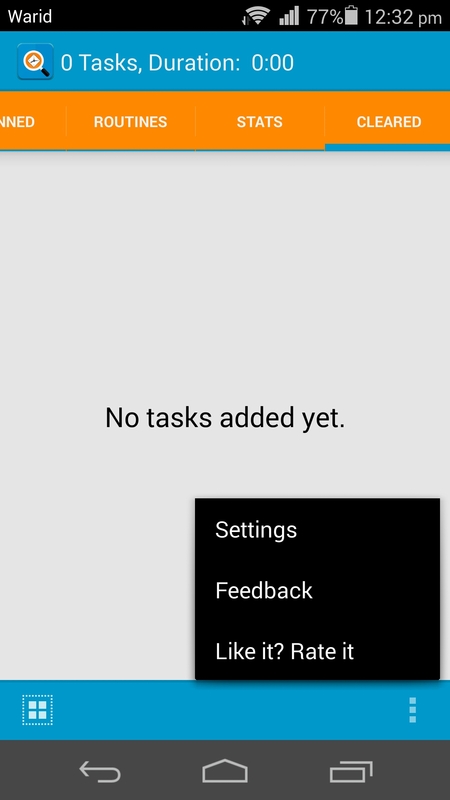 You can also reorder the tasks by dragging the up and down. In order to do so you have to press onto the task where you see three gray vertical bars and then you will be able to move the tasks. You have to select individual task and move it. If you press anywhere else on the task it will not move. 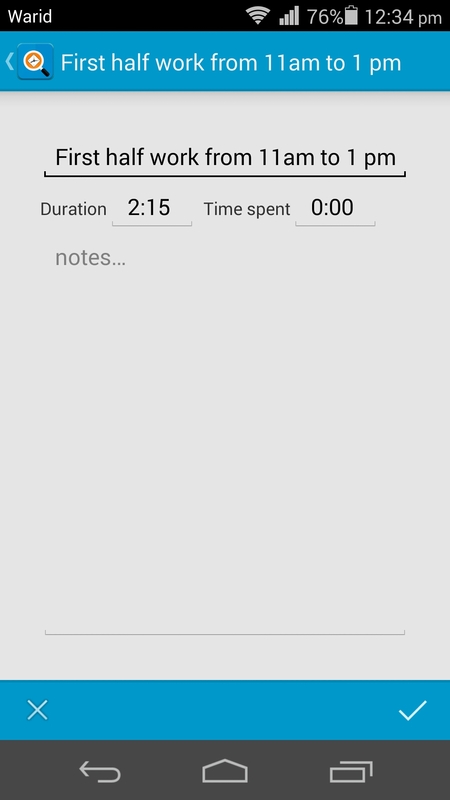 Do Now time management app also gives a statistics screen given which shows how many tasks you have completed and when you the completed the task. 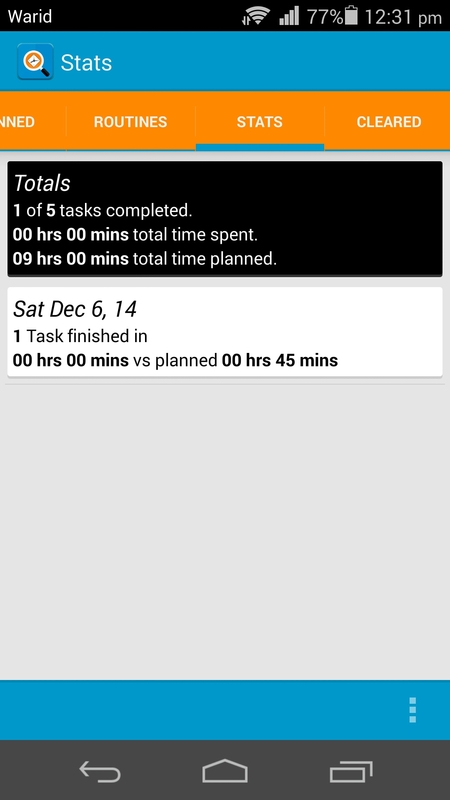 I recommend this app for those users who want to track the time they are spending on their current tasks. and will surely help them manage their time. I have started to use this app myself and will continue to do so, as my style of work suits the use case of this application. 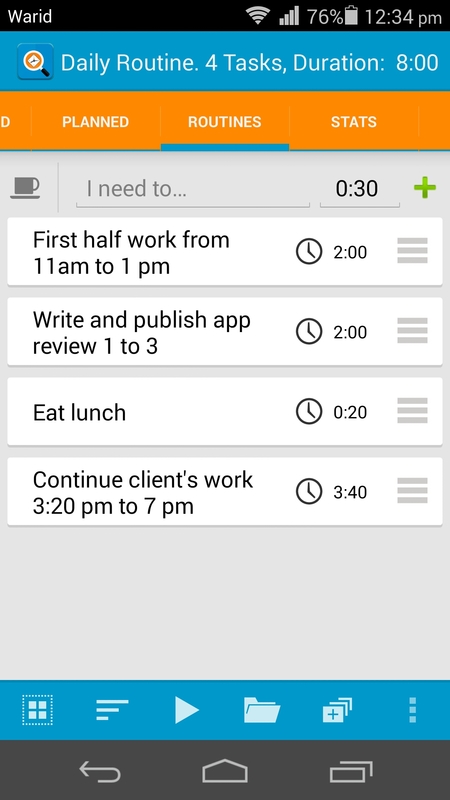 I assign a fixed number of hours to my tasks for my daily work and have created a routine. I believe this will help me get more productive and get more out of my work.